Make the Zimbra Web Client and the Zimbra Desktop easier to use with things like roll-over actions for dates, phone numbers, etc. 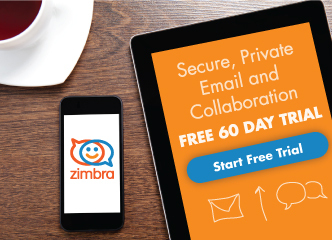 Integrate Zimbra with other third-party information systems, such as WebEx and SalesForce. You also learned where to look for the full list of Zimlets: zimbra.org There are dozens of Zimlets to explore. Now let’s look at how you can manage Zimlets for your Zimbra account. The navigation pane: Zimlets displayed in the navigation pane require an action from you before they work. The WebEx Zimlet is a good example: you must add your WebEx account information to the Zimlet before you can use it to start a WebEx instant meeting or add a WebEx meeting to your meeting invitations. Zimbra Preferences: All Zimlets that are active for your account are displayed on the Preferences > Zimlets page. This is where you can enable and disable Zimlets, as described below. Select Preferences > Zimlets to view the Zimlets page. This page lists all of the Zimlets that are activated for your Zimbra account. If the Zimlet has a blue check, it is enabled for your account. If it does not have a blue check, it is disabled or “turned off” for your account. Simply click the Active box for a Zimlet to enable or disable it. However, remember any changes you make, so you can reverse them later if you so choose. What if you don’t see a Zimlet that you want? Every organization decides which Zimlets to activate in their Zimbra deployment. 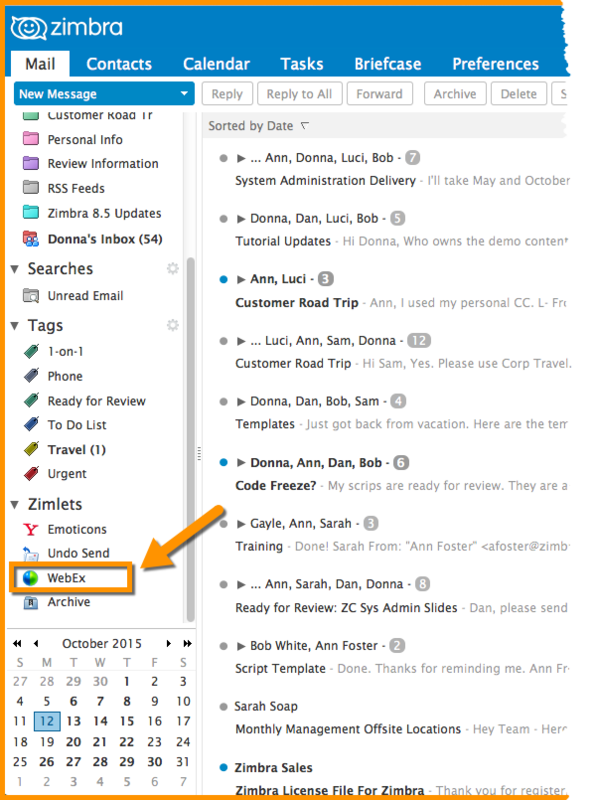 Therefore, you may see Zimlets on zimbra.org that are not in your Zimlet Preferences or your navigation pane. 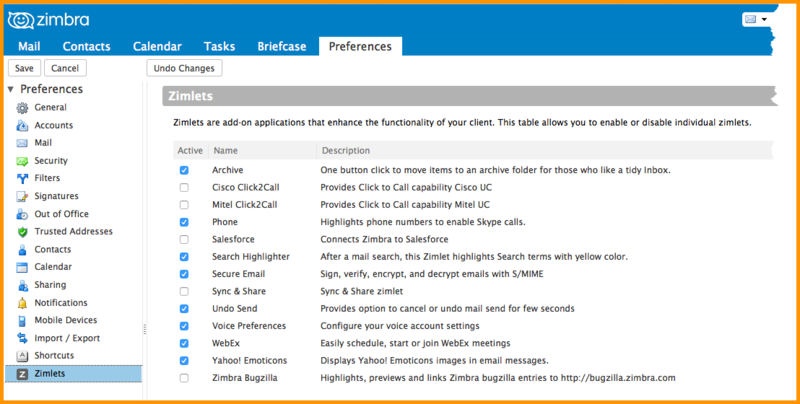 You can request that your organization incorporate a Zimlet for use with the Zimbra Web Client. This will affect the functionality of the Zimbra Web Client for all users in the organization. You can use Zimbra Desktop and add Zimlets that are compatible with your version of Desktop. Be aware that this affects the functionality only in your Desktop account. Also, your organization’s Help Desk may not support Zimbra Desktop and/or Zimlets that you add.